SHINE Systems (SHINE) employs an iterative process built upon the PDCA (PLAN-DO-CHECK-ADJUST) Cycle to ensure quality is built into our deliverables throughout the performance of our contracts. At SHINE, the pursuit of quality begins with our recruiting and hiring processes. We specifically seek employees with a demonstrated commitment to quality. Our belief is that if we enable our customers, employees, and partners to SHINE, then we will be successful. Underlying this belief is a strong corporate commitment to quality that comes from our founder and President, Jeff Thomas, who has been supporting federal government, public sector, academic, and commercial customers almost three decades. The SHINE project manager (PM) is accountable to the President of SHINE and the customer’s designated representatives, as well as, the Contracting Officer for the execution of this Plan. Quality Management encompasses the roles and the responsibilities of SHINE and the customer. SHINE Systems is responsible for the development and the execution of the Quality Assurance Plan (QAP) while the customer develops and implements the Quality Assurance Surveillance Plan (QASP) which sets forth the customer’s quality performance standards for the project. At all times, these Plans should be in-sync, allow for collaboration conducive to the project and customer mission, and deliver excellence. 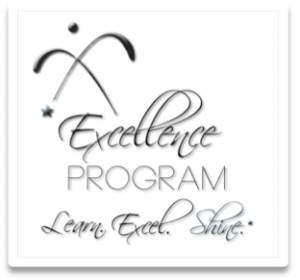 The governing framework for all SHINE quality assurance is its Excellence Program (XP)™. Excellence surpasses normal expectations and is a categorization of a superior trait or superior work in a specific field. SHINE Systems’ XP™ offers a basis on which team members can formulate their decisions. It empowers members to constantly exceed expectations through its practices and teaches everyone to use characteristically reputable acts in areas of the project that they will be most beneficial, such as acting on data in an assessment, but acting on respect in service. In summary, SHINE Systems’ commitment to excellence is not a mere concept; it permeates the entire team and its delivery to the project and is practiced every day. The first three activities are performed by SHINE and the fourth is typically performed by the Customer. 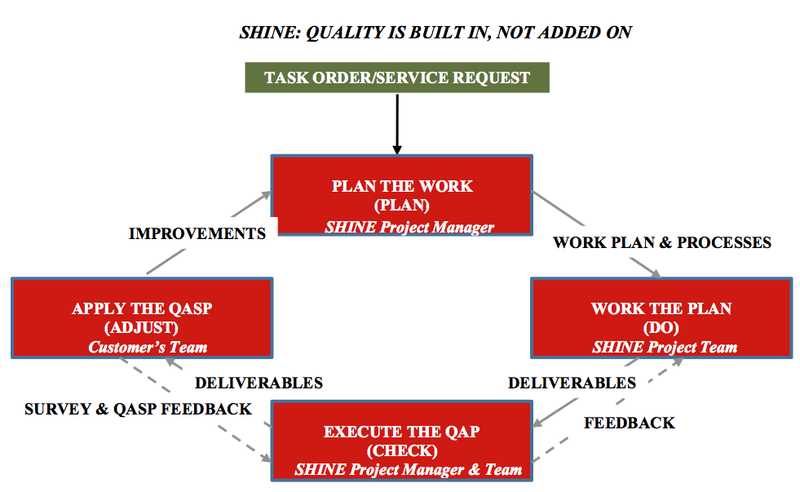 The SHINE QAP (Exhibit 2) defines the management and quality control actions necessary to meet the quality standards established by the Customer, and describes the tasks, activities, review cycles, procedures, and tools used to deliver the highest quality products and meet the standards of performance required on the project.